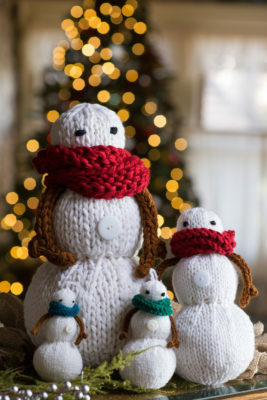 Are you knitting a gift for a non-knitter? Here are a few things to remember before embarking on your laborious love journey into stitchland. THEY DON’T SEE WHAT YOU SEE WHEN THEY LOOK AT KNITTED THINGS. Do you remember a time before you were a crazy knitter? How sweaters at Target still looked awesome to you then? How a simple bulky garter stitch cowl looked cozy and wonderful and uber-wearable? A nonknitter doesn’t have a knitter’s eye, so simple and “store-bought looking” are actually more appealing to a lot of them than “interesting construction” and “unusual stitch patterns” (i.e., the more you enjoy the knitting, the less a non-knitter will like the finished object. Sorry). Remember, “normal” people live in a world of mainstream fashion and ready to wear trends. If all the stores are carrying infinity scarves and cocoon cardigans, that’s the kind of knitting a “normal” woman encounters and sees as stylish. So take some time and study general knitwear trends before diving deep into Ravelry and picking out a project for someone. THEY LIVE IN A WORLD OF DISPOSABLE CONVENIENCE TEXTILES. This hat was handmade! 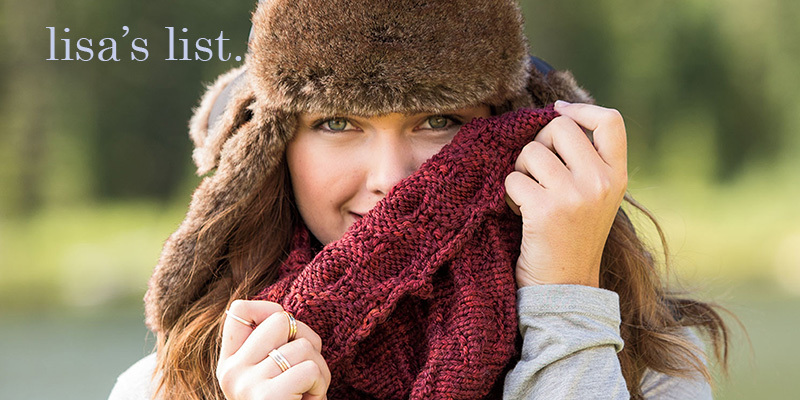 It is knitted out of 100% wool, which makes it warm, breathable, elastic, flame resistant, and long-lasting. Wool comes from sheep; people have been harvesting the fleece of sheep, turning it into yarn, and making cloth with it since the Bronze Age. First the sheep is sheared, then the fleece is cleaned and processed, then is it spun into yarn, dyed, and finished. In this case, I bought the yarn at a yarn shop, took it home, and spent 15 hours over the course of 2 weeks knitting this hat for you. Wool has many wonderful qualities, and comes in many different grades and types—there are over 1000 breeds of sheep! But wool does require some special care. This is not a washable wool, so be careful to keep this hat out of your laundry pile. When you need to wash it, do so by hand in cold water with a mild soap. Rinse well, then roll in a towel and squeeze out excess moisture. Lay flat to dry completely. Never agitate wet wool, and avoid warm water, as hot water + agitation cause the neat trick we call FULLING or FELTING, whereby the wool shrinks and gets dense and thick, leaving a tiny hat you wouldn’t be able to wear. YOU MIGHT NOT UNDERSTAND THEIR STYLE VERY WELL. EVEN IF YOU THINK YOU DO. Gifting items such as clothing or jewelry can be tricky—they’re such personal choices. You might think you get someone’s style, but you really don’t. Intergenerational gifting can be particularly tough in this way—a Boomer mom and a Millennial daughter see different things as cool or appealing. When in doubt, ask the person what they like—show them knitting magazines, Ravelry pattern results, Pinterest boards, and see what they pick out. Surprises are lovely, but you know what isn’t a nice surprise? Catching your favorite aunt donating your hand-dyed, handknit shawl to charity two years down the road because she never wore it. Ouch. Ask yourself, will this person like a hat or mitts or shawl? Have they ever shown interest in my knitting? If you’re not sure or the answer is no, then why do you want to knit for them? Is this really about you and what you like? If so, buy yourself some yarn and knit for yourself! And find a charity your recipient supports and donate to it in their name. Give to people in a way that makes them feel seen and loved, not in a way that you think they should be loved. THEY LOVE YOU. SAVE SOME SPACE FOR RECEIVING FROM THEM. A gift should be about the recipient, which means you might spend a LOT of time and energy this time of year prepping, knitting, shopping, and gifting to others. Don’t wear yourself out. Don’t give yourself carpal tunnel. Save some space and energy for yourself, and maybe even carve out a little time for selfish knitting. If we all go around killing ourselves to give to others, then no one will have the energy to receive and appreciate the gifts that they are given. Make room for the gifts of others, make room for conversation and hugs and attentiveness and peace, and save some space for yourself. The yarn will still be there in January. I hope you have a wonderful season of giving, reflection, and love this year. 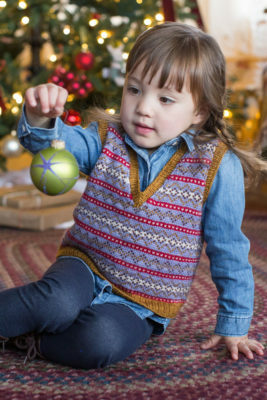 If you need gift project ideas, check out Interweave Knits Holiday 2016, or browse through our store for different knitting patterns. 8 Free Sock Knitting Patterns You’ll Love!